First Floor 1670 sq. 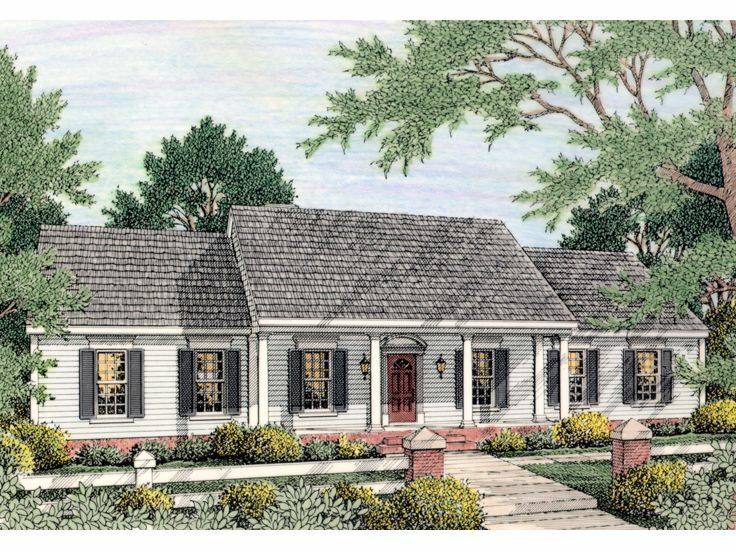 ft.
A covered front porch lined with columns blends country, Southern and Colonial elements giving this ranch home plan an exciting mixture of styles. 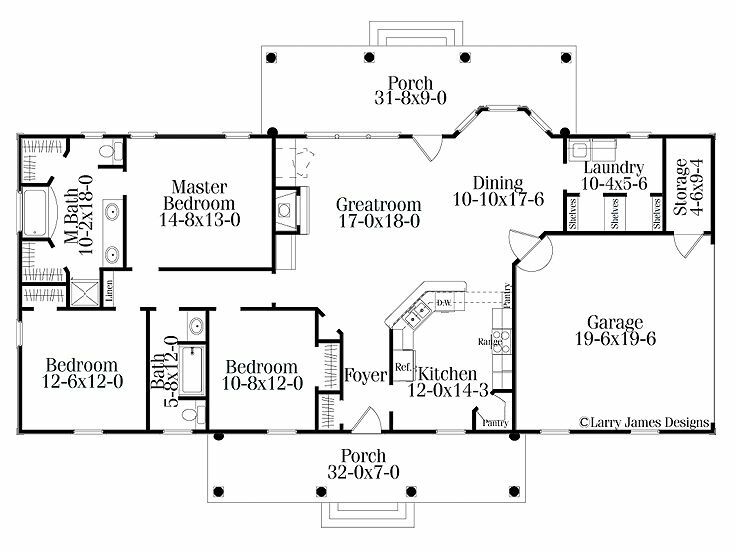 The simple, yet neatly trimmed, exterior hides a thoughtful floor plan. 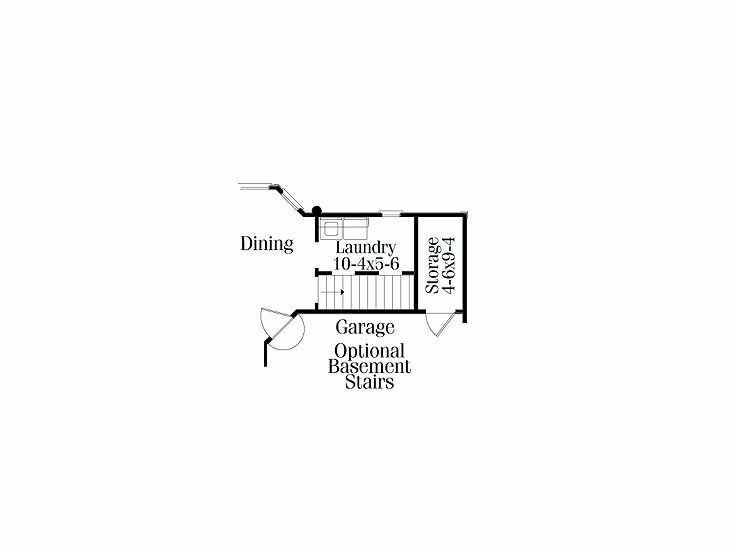 Step inside to find a convenient coat closet standing ready in the foyer. To the right, the pass-thru kitchen offers a walk-in pantry and handy eating bar. Beyond, the bayed dining room combines with the generously sized great room creating a casual gathering space for family activities. A rear covered porch extends the living areas outdoors, ideal for after dinner conversation. Nearby, the laundry room features plenty of storage shelves, and the two-car, side entry garage provides a storage closet as well. Perfect for families with young children, this bedroom-together design ensures everyone sleeps soundly. 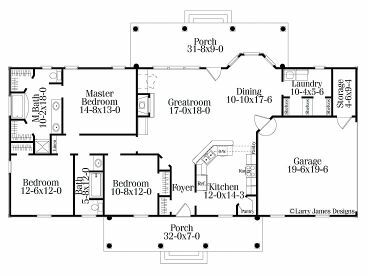 The children access a hall bath while the master suite boasts a deluxe bath and double walk-in closets. Just right for a starter home, this small and affordable Southern Colonial house plan promotes comfortable family living. NOTE: The options for 2x6 framing and right reading reverse may not be complete. Please allow 10 business days before plans with this options to ship.